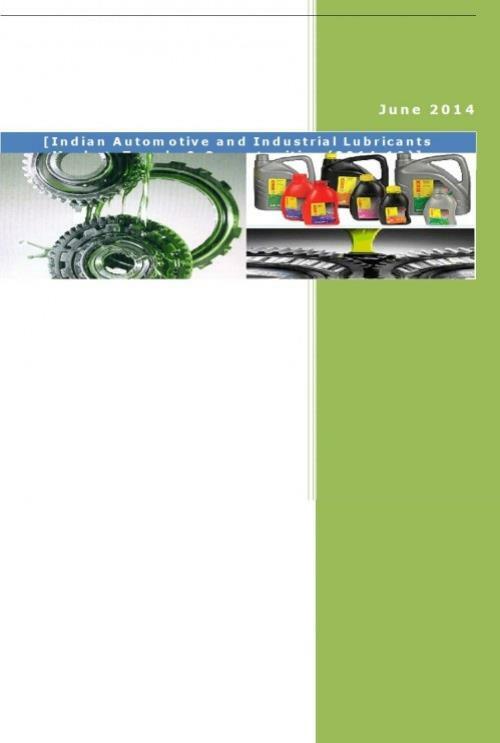 The report titled “Indian Automotive and Industrial Lubricants Market: Trends & Opportunities (2014-2019)” provides an insight into the lubricants sector in India with a special focus on sub-segments like automotive and industrial lubricants. The report also includes the production and consumption trend, market value, segmentation on various parameters and distribution structure of the Indian lubricants sector. It also discusses key growth drivers and major challenges faced by lubricants industry in India. Further, key manufacturers of lubricants like Castrol India, HPCL, Gulf Oil and Indian Oil are profiled in the report. India is the fifth largest lubricant market globally in volume terms behind the US, China, Russia and Japan. India is a net base oil deficit market and many additives used in lubricants are mostly imported. Volume consumption of lubricants in India has consistently declined over past few years as a result of improving lubricant and engine quality. In addition the year 2013 was accompanied by slower GDP growth rate and subdued industrial activity that also affected the industry margins. The lubricants usage can be divided in two key segments – Automotive and Industrial. The demand for automotive lubricants in India is driven by growth in vehicle population and the consumption of industrial lubricants is highly correlated with Index of Industrial Production (IIP). Automotive lubricants typically are higher margin products compared to industrial lubricants. Majority of automotive lubricants demand is derived from commercial vehicles (CVs) and tractors, largely dominated by diesel engines. Process oils are the biggest contributor within industrial lubes. In the Indian market, lubricants are sold broadly through three channels- Original Equipment Manufacturers (OEMs), petrol pumps and bazaar/retail trade. Bazaar trade is the most profitable amongst the distribution channels and consists of spare part shops, dedicated lubricant dealers, mechanic workshops and service centers. The lubricants industry in India is dominated by national oil companies namely IOC, BPCL and HPCL that account for almost half of market share. Rest of the market includes private multinationals like Shell, Exxon Mobil, Total and numerous smaller and loyal players.